Tokyo is a city of dichotomies. Both a thriving urban metropolis and a slow moving city that feels like it's half its population of over 9 million. It's minimal and excessive. Futuristic but traditional. It just depends which area you go too. There's so many different areas that Tokyo is a city that takes a long time to get to know well. If you're visiting for less than two weeks you'll never truly get to know Tokyo, but a glimpse of the city is better than nothing. 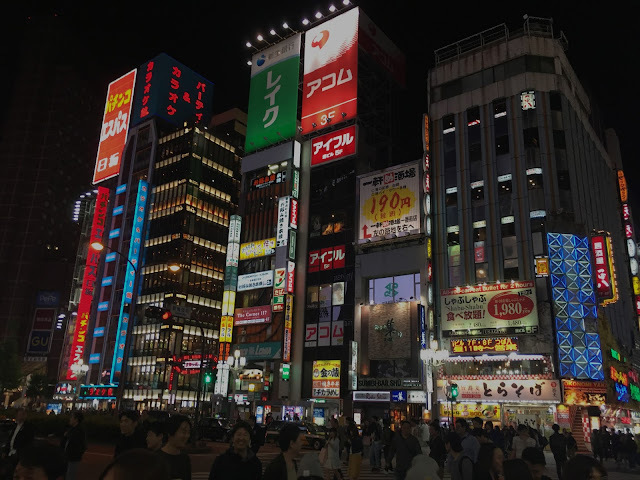 If you're in the mood to embrace it then Tokyo is the ultimate place to get lost in throngs of people. On the downside it can be intense, especially if you're in one of the busier areas such as Shinjuku or Shibuya. It's a city that hits you hard when you're in the thick of it. The lights, the craziness and the crowds can be disorientating if you don't have a purpose or know where you want to go. Visiting Tokyo can be overwhelming at first. It's a city where there isn't an easy to follow list of "typical" things to do. The amount of things to choose from can be quite daunting. Below are some suggestions to start with to help you get a handle of the city. When I visited the celebrated Japanese artist Yayoi Kusama exhibition 'My Eternal Soul' was on, which was colourful and entrancing. Bunkomura holds exhibitions and is also a concert hall and theatre. When I visited there was a Saul Leiter exhibition on, an acclaimed photographer. It was a great exhibit and my highlight of all the galleries that I visited. The Museum is split into different exhibitions on the different levels and you have to decide which you want to see and pay for. Which I personally didn't like as it's quite a small museum anyway. I would rather pay a general fee and be exposed to all of them, as arguably the benefit of art and photography is being exposed to things you didn't expect. Make sure to book a few months in advance! The first floor is great, full of innovative exhibitions about the Studio Ghibli films. However in my opinion it's only really worth it if you've seen at least a few of the movies (a good one to start with is Spirited Away). You also get cinema ticket to watch a short film there, which was fun to watch even though it was in Japanese with no subtitles. You can buy tickets for the next month on the 10th of each month here. Get in early in the morning though as tickets go quick. Start at the entrance of Takeshita Street, Harajuku and experience the hordes of people and the occasional extremely stylish or crazily dressed person walking past you. There's lots of stores to visit including my personal favourite, Thank you mart where everything is 3.90yen. If you continue down Takeshita street, you'll find a quiter area with vintage stores and eateries. It's worth a few hours exploring and the people around the area are some of the most stylish I've ever seen. They know how to dress. Hectic outdoor market, not somewhere I lingered at as it was too busy for my liking but I've heard they have a Tuna auction that people get really excited about. Just not me. It wasn't open when I went (not to self: check opening times before visiting places) but its impressive from the outside and in an area of Tokyo that is unlike the rest. Japanese photo booths are something that provide a lot of fun for not much money (usually 400yen), and as a bonus, you can bring the memory home. They are a bit confusing at first, as usually you take photos in one section of the booth and then go to another section and a lot of the instructions are in Japanese. However, the exhilaration of having no idea what you're doing till you're doing it is part of the fun and should be embraced. There's a cover charge after certain times. Before 8pm on the day we went it was free. Although drinks are priced extravagantly as you would expect (about 2000yen). The view is worth it. Especially if you go for dusk and watch as the massive cityscape turns dark, lit up by all the buildings. 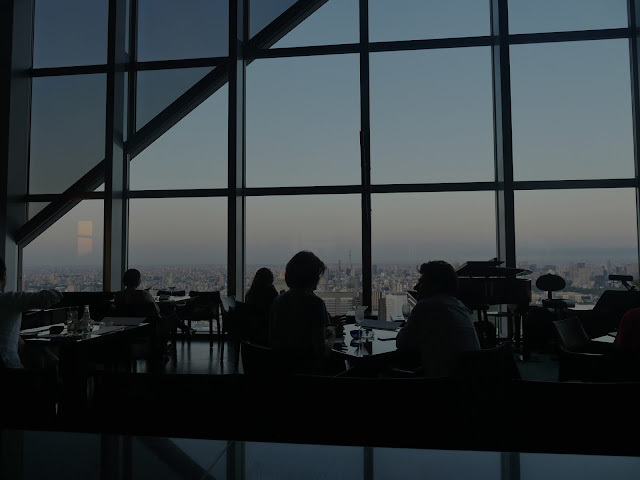 It's free to enter and there are two different sides of the building that you can enter (South and North) to get a 360 degree view of Tokyo, approximately 202 metres above ground. There's a restaurant there and souvenirs as well. There is a small 200yen entrance fee for these gardens. However for that price they are immaculate, aesthetically pleasing, varied and immense. It's a perfect place for a picnic or to escape the business of the city without leaving the city centre. Definitely worth the money. It's a free park in the middle of the city next to Harajuku station. It's huge with a temple and a lake to see. On Sundays a group called the Greasers perform and dance in the park. Interestingly there was also an 80's dance group trying and failing to compete at the same place with nowhere near the same amount of onlookers. Due to the size of the city, location is everything. 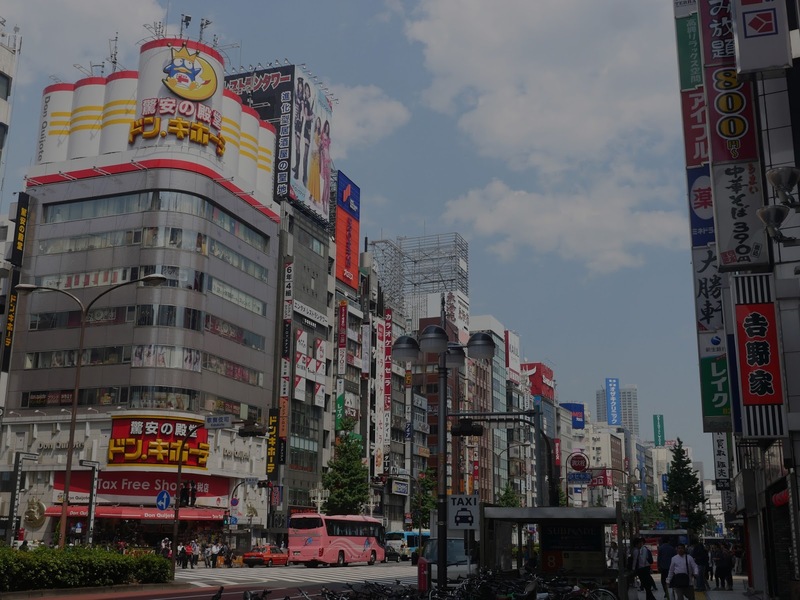 Staying somewhere with an efficient transport connection to Shibuya, Shinjuku and Harajuku will save you time if that's where you want to explore the most. Shinjuku train station is a main connection point to other lines so being close to there will come in handy. Public transport isn't overly cheap in Tokyo so being somewhere with less connections and less travel time will be a money saver. At the train stations you can either buy paper tickets each time you travel or buy a top up card depending on your preference. There are daily travel passes available to purchase which may or may not be more cost effective depending on how much you're travelling. Some bars have a fee just for being there (seat charge), so just thought I'd mention you can drink on the streets in Japan legally. Just buy a can from 7/11, bring some friends, find a nice spot to relax and watch as the craziness of Tokyo happens right in front of you. Restaurant dining is a safe bet in Tokyo. Pretty much everything is good there and doesn't disappoint. Although it's easy to underestimate how much everything costs due to the different currency. Buying from the convenience stores will save a lot of money for anyone on a budget. Tasty sushi starts from around 100yen which is around $1AUD, and most convenience stores provide wifi, ATM's and toilets. A saviour in times of hunger and low funds. 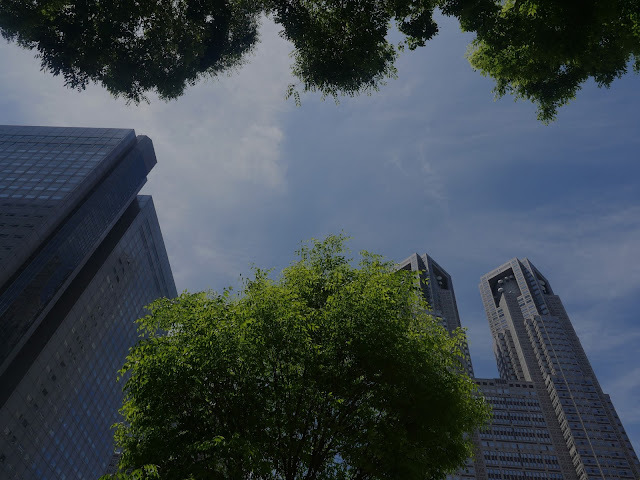 Toyko is a wonderful place to visit and hopefully this guide to Tokyo helps you get a start in exploring the city! I've also written guides about Kyoto, Osaka, Miyajima, Hiroshima and Naoshima.